The researchers say the average motorist in the U.S. is paying $1,470 a year for car insurance. They arrived at that number by analyzing more than 61 million auto insurance rates in every zip code. That method breaks down the criteria insurance companies use to set rates — and how that pricing is unique to every individual. "Some people are paying $500 a year while others are paying $5,000. Why? It could be weather in your state, your driving habits, or even your gender, marital status, or credit score," said Alyssa Connolly, director of Market Insights at The Zebra. "Car insurance is a major expense for most Americans, and drivers want to know how much their rates are changing — especially as new technology comes into play." Car insurance rates vary widely from state to state since every jurisdiction has its own set of policies. The least expensive states in which to insure a car are Michigan, Louisiana, and Rhode Island. The most expensive cities for car insurance are Detroit, New Orleans, and Hialeah, Fla. In Colorado, auto insurance rates have surged 80 percent since 2011. But during that same time, they have fallen 20 percent in Oklahoma. The Zebra analysis also found that, even within a state, rates can vary as much as 265 percent depending upon the zip code. One reason rates can vary so much by state is that some states have different rules for insurance providers. For example, some states have barred insurance companies from using non-driving factors such as credit scores to set car insurance rates. 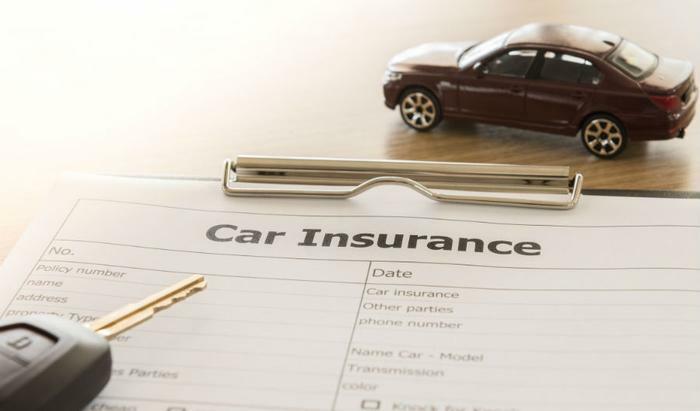 Insurance companies say they use zip codes to measure a customer’s risk by looking at the number of vehicle crimes -- things like theft and vandalism -- within specific areas. Some providers also consider credit scores -- where allowed by law to do so -- because they believe the score is an accurate reflection of risk. The rate consumers pay also depends on the extent of coverage they select. Policies with a high deductible -- meaning the consumer pays for most minor damage and doesn’t file a claim -- cost less with low deductible policies with features like accident forgiveness. Rates also tend to be higher for motorists with speeding tickets and other moving violations. The Zebra report found that a crackdown on distracted driving such as texting behind the wheel has resulted in an average rate increase of 20 percent. Insurance companies are also making wider use of apps and plug-in devices to monitor how a driver operates their vehicle. This monitoring has resulted in some drivers seeing their rates go down while others are paying more. Sometimes changing insurance providers will result in a lower rate. Read what consumers have to say about car insurance companies in these ConsumerAffairs reviews.